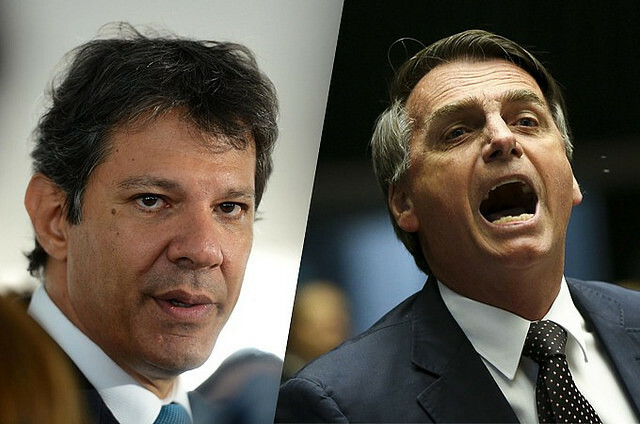 With 96 percent of votes counted, far-right candidate Jair Bolsonaro and left-wing presidential hopeful Fernando Haddad will run in the second round of Brazil’s elections, set to be held on Oct. 28. The far-right candidate has 46.6 percent of votes, followed by the Workers’ Party presidential hopeful, at 28.5 percent. Centrist Ciro Gomes had 12.5 percent of votes, followed by right-wing candidate Geraldo Alckmin at 4.8 percent. More than 147,000 Brazilians cast their votes this Sunday in the most polarized presidential election in the country since its transition to democracy in the 1980s, as tensions mounted between opposing projects for the 2019-2022 presidential term. Infamously known for his conservative and bigot opinions, Bolsonaro has been the target of demonstrations organized by women across the country. Jurist Pedro Serrano says that new forms of authoritarianism have been rising in many countries, even though they look democratic, which helps to explain the large number of votes for the far-right candidate. “We are living a new form of authoritarianism in the 21st century. They are not governments and states of exception, but a liquid, diffuse form of authoritarianism that implicates in ‘measures of exception’ within democracy,” he says. The Brazil elections: How did we get here and what is at stake? Lula writes letter on 1st Anniversary of Imprisonment: "Exiled in my own country"